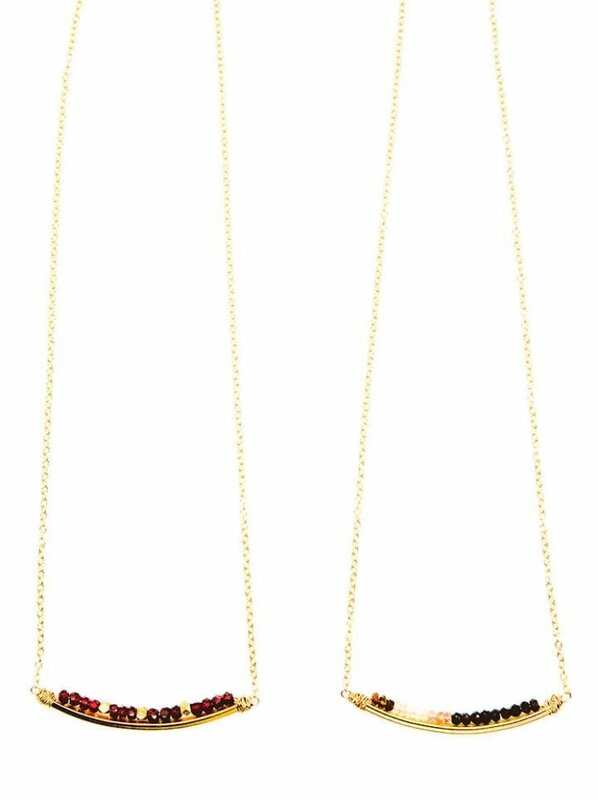 The gold edged diamond tear slides freely on this deli necklace. The necklace is made of 14k gold filled chain, findings and hand wrapping. The necklace can be worn at varying lengths from 16″-17″.